The 19th session of the Conference of the Parties (COP 19) to the United Nations Framework Convention on Climate Change (UNFCCC) and the 9th session of the Conference of the Parties serving as the Meeting of the Parties (CMP 9) to the 1997 Kyoto Protocol will take place from 11 to 22 November 2003. The conference will be held at the National Stadium in Warsaw, Poland. As a regional intergovernmental learning and knowledge sharing centre serving the eight regional member countries of the Hindu Kush Himalayan (HKH) region, ICIMOD will bring a range of climate change-related issues and their impact on the people and environment of the Himalayan region to the attention of the world community at this global gathering. The ICIMOD delegation is being led by Director Programme Operations Dr Eklabya Sharma and includes senior managers and programme staff. ICIMOD is accredited by the UNFCCC as an Intergovernmental Organization with Observer Status, which means the delegation will be able to observe the main proceedings and negotiations that take place during the plenary sessions. 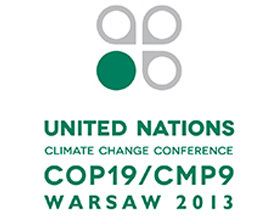 The COP-19 summit will primarily focus on the four themes of adaptation, climate finance, mitigation, and technology. For ICIMOD, the most relevant topics of discussion would be adaptation and climate finance. This page will serve as resource corner for all issues related to ‘ICIMOD at COP 19’ and will also feature up-to-date summary of ICIMOD-COP 19-related agendas and events.